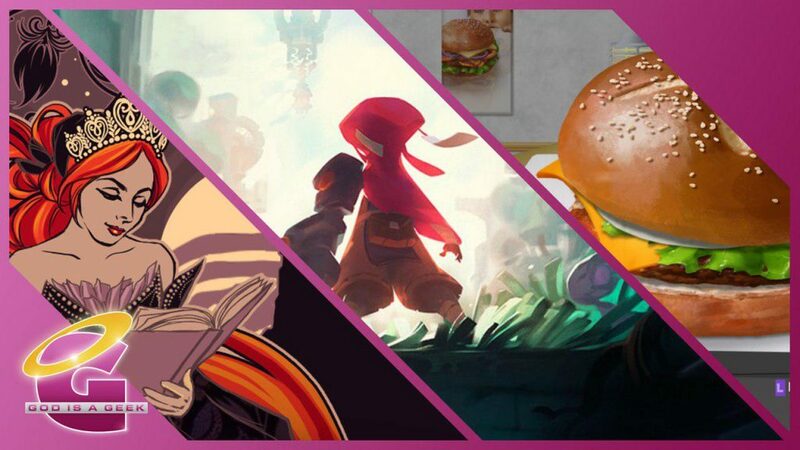 Today’s Switch Re:Port Review looks at four games that saw releases earlier on other platforms. If you’re new to the Switch Re:Port Reviews on the Geek, I (with the help of the fine folk here) look at the Switch ports of games that have been released on other platforms. These reviews aren’t just to talk about the game but to look at how the games run and play on the Switch and how they use the Switch features. Evoland on Steam was a fantastic experience for me. I loved the way it showcased how games evolved in terms of graphics while it had its own set of references to various things. 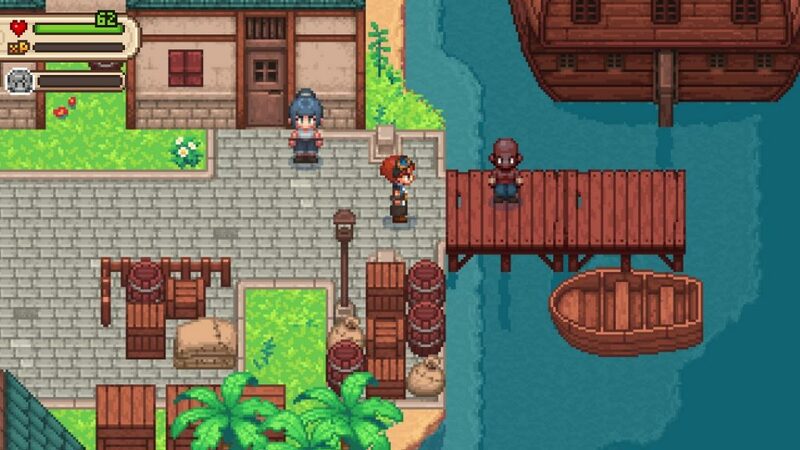 Shiro Games’ original Evoland is a must play title for any fans of old school RPGs just as a way to relive how graphics and even games evolved. Evoland 2 on the other hand is a much more polished experience on its own and feels like a much better game overall even though I still prefer the original. Evoland 2 has its own proper narrative as well. On the Switch, this package offers nothing really of note over the other platforms barring portability which was already possible thanks to the mobile versions that released earlier. There isn’t any unique use of the Switch hardware and the port needs some optimisation. Both games in this package need performance improvements. I’m quite disappointed that this version isn’t something I’d consider definitive thanks to the performance issues. Evoland does support the native Switch video recording. Evoland Legendary Edition packages two great titles but I’m pretty disappointed with the performance. Even when you unlock smooth scrolling in the original, it stutters here and there and feels like it has a lot of input lag. If you have another platform to experience these games on, make sure you do. They are absolutely worth your time. The original Cook, Serve, Delicious! Is one of my favourite games to play on the iPad. The sequel was fun but needed work when it launched on PC. Thankfully, by the time the PS4 version launched, it was in a much better state and was something I could safely recommend to all. Now, Vertigo Gaming has ported it to Xbox One and Nintendo Switch and I was pretty excited to check one of my favourite PS4 indies on the Switch. In terms of the game content, the Switch port is up to date with the other consoles and has all the updates including the Barista one. People who play the console version as their first foray into this game will have a much better time than those who got into the PC version at launch. When it comes to Switch specific features, this port does almost everything right. I would’ve loved for the menus and interface outside the gameplay to support touch but a lot of interface elements are too small. There’s a large text option for ingredients which is welcome for handheld mode. The core gameplay is playable with touch and it feels great. Going back to controller feels like a step back for me. HD Rumble is also well implemented here. For co-op, you can even use a single Joy-Con each and play on the go which is always a welcome addition. Cook, Serve, Delicious! 2!! Is a fantastic conversion on the Switch. The touchscreen controls are super and HD Rumble is excellent. This release is everything I wanted in a Switch port of the game. I can only hope for a physical release in the future. 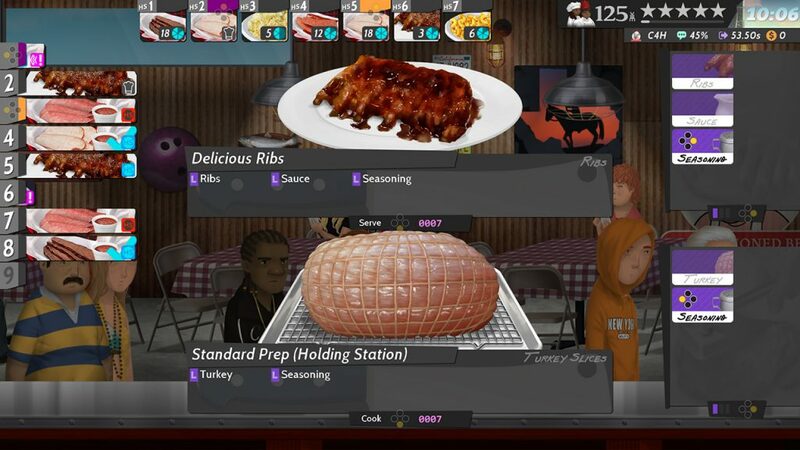 This is the only version of the game you can comfortably play while actually cooking as well (don’t do that). Visual novels are best played on portable devices. Visual novels on portable devices with touchscreens should allow you to progress by tapping the touchscreen. Cinders from MoaCube and Crunching Koalas is a great take on the classic Cinderella. It was released on PC a long time ago and has finally released on a portable thanks to the Switch version. Cinders’ delivery of the classic story is great. I love the choices and how things actually feel like they make a difference in your playthrough. If you enjoy darker and mature stories with twists, this is a great experience. 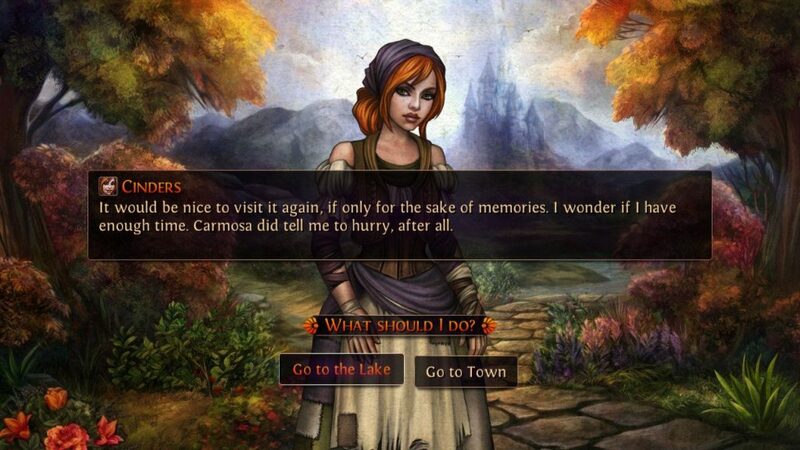 Since Cinders is a visual novel, I didn’t expect any compromises to visuals and animations. Everything looks and feels great. The highlight of this port is the touch support. You can play the whole game on the touchscreen or use it when you want and play with traditional button controls. Video recording is also supported and as a bonus, the icon is fantastic. Cinders is a fine experience to have at home or on the go. The developers have done everything I would have wanted in a port. If you’ve been waiting on checking this out or are just looking for a new visual novel on the Switch, give Cinders a go. Runic Games’ Hob was originally unveiled in 2015 and it finally was released on PS4 and PC platforms in 2017. Perfect World Entertainment now bring it to Switch with the help of the superb Panic Button who have brought the likes of DOOM and Warframe to Switch. Since they were behind the port, I came into this expecting a great port and the result is good in many ways but also not so good in some ways. Hob is all about uncovering mysteries through puzzles, exploration, and more. Panic Button have done a very good job translating the world to Nintendo’s hybrid while using its hardware features but there have been some cutbacks to visuals and performance. Hob is a gorgeous game with great audio. When it comes to Switch specific features, this port not only makes good use of the Switch hardware but it also has a lot of new features that make this the best version when it comes to features for sure. HD rumble feels great and there is also pretty good touch support. This Definitive Edition includes the ability to play the classic game as well without any of the new enhancements to camera and UI. Hob also supports native video recording on the Switch as well. The downsides to this port are basically the same ones that affect most conversions of demanding games. The image quality isn’t great in handheld mode. It is good when docked but not great. The performance hasn’t been a bother at all but given the image quality, I was hoping for a higher framerate. 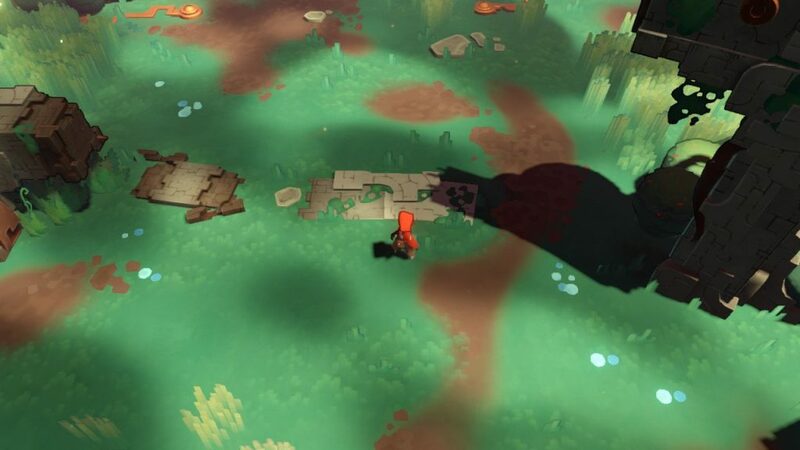 Hob is very much a case of a game I’m glad got a Switch port so I could experience it. The big question is whether this version is the true “Definitive Edition”. In most cases, people looking for portability are ok with compromises to be able to play on the go. Hob needs some work on the visual side of things for sure but other than that, it is great thanks to various enhancements and additions this release brings.